I’ve almost shifted my holiday malaise, as this one’s only a day late, and with it, I get to polish off the last of 2018’s reviews. First it was a look at something from my own collection, Fairy Tail Collection 5. This is the Funimation Blu-ray release that consolidates Parts 9 and 10 of Fairy Tail, which only saw a DVD release in the UK. It’s also the last US release of Fairy Tail that will play on Region B machines. For me, it’s also the best of Fairy Tail, as it presents the Tenrou Island arc, before filler started to taint the show for me. I then took a look at Mob Psycho 100, a show from the creator of One Punch Man. The trouble with reviewing is that you tend to look for the similarities, the commonalities between stories from the same source for something to talk about, when really you should take each thing as if it’s brand new and unique. Because taken that way, Mob Psycho 100’s tale of a non-descript boy trying to come to terms with having super-strong esper powers is brilliant. It’s a show that defies expectations, and is relentlessly entertaining, delightfully funny. 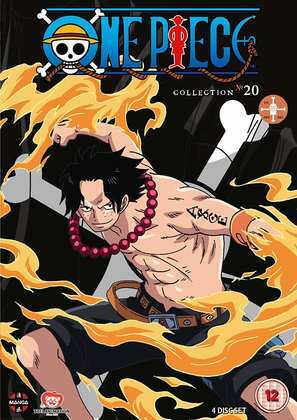 The final review of the week was for One Piece Collection 20, the one release I really shouldn’t talk about, lest I spoil it for those not yet in the know. 23 episodes of epic One Piece action, the war between the Whitebeard Pirates and the Navy, as Luffy fights to save his brother Ace from execution. This is the pure stuff, untainted by filler, directed well and paced with energy, but I can’t help feel a little disappointed by One Piece at this point. Click on the review to read why. Slayers Next. I can always rely on this show to put a smile on my face, although it wasn’t always thus. When I first watched the original Slayers series, I found its humour a little hard to get into, the pacing a little off, the storytelling a little clichéd. It was when I first saw the sequel series, this Slayers Next that I first bust a gut at its comedy, that I really ‘got’ it. It’s a show from another era, a venerable cel and paint anime, with a delightfully straightforward sense of humour, a wonderful parody of the swords and sorcery genre, but one which manages to tell a story with heart as well. I have no problem enjoying any of the Slayers instalments now, but I still feel that this second series, Slayers Next was the pinnacle of the franchise. 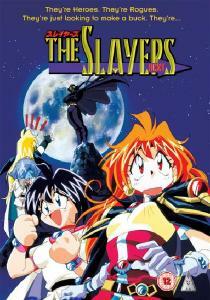 MVM released Slayers Next in four single DVD volumes before releasing it as a complete series collection, which is still available to buy today. Here’s my review for volume 1. 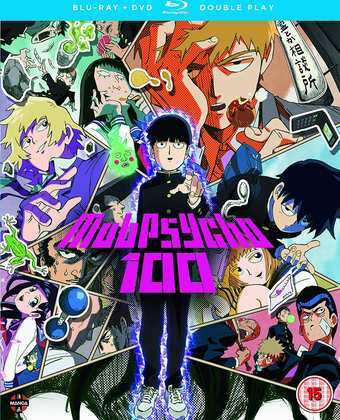 Manga Entertainment released Mob Psycho 100 on BD/DVD Combo and One Piece Collection 20 on DVD on December 17th. 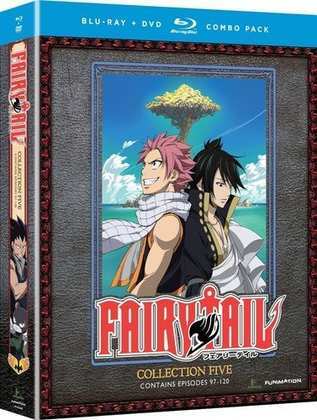 Funimation released Fairy Tail Collection 5 in the US on BD/DVD combo back in 2015.